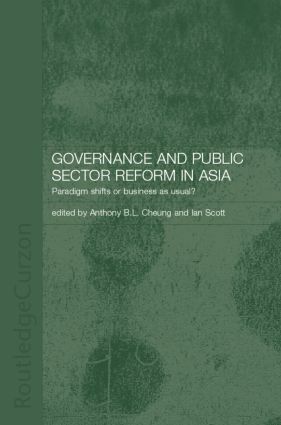 Based on new field research, this book assesses the current state of governance and public sector reforms in eleven Asian countries and jurisdictions, especially in the wake of the recent regional financial crisis that seriously affected some of them. It analyses reform efforts comparatively against a backdrop of governance problems, and seeks to establish whether these efforts represent a substantive shift in attitudes towards reform or whether they serve simply to reinforce existing practices. The authors explore a number of important themes that are central to governance and public sector reform issues. These include the role of the state, the success or failure of organizational reforms, corruption, the applicability of the new public management model in the Asian context, and the governance values and reform models promoted by regional and international agencies.